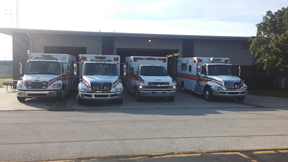 As the primary Emergency Medical Service provider for the more than 60,000 residents of Sandusky County; Sandusky County EMS (SCEMS) is a professional “emergency only” agency operated by the Sandusky County Board of Commissioners. SCEMS provides emergency service to the residents, workforce, and visitors of Sandusky County covering more than 400 Sq. Miles. The county is primarily rural, but does contain several cities; the largest of which is Fremont (population 17k). Our structure follows traditional format of most modern public safety agencies. The Administration of Command Staff consists of the EMS Chief who oversees operations, planning, logistics, and finance of the entire department. Each shift is over seen by a shift Captain, who is responsible for all the day-to-day operations. Each captain holds a special departmental role such as education, maintenance, quality assurance, and supplies/equipment. Each shift captain will respond simultaneously with dispatched Life Squads in a fully equipped command vehicle to incidents with predefined critical criteria and/or have the potential need for additional resources. The operational staff is structured into three 24 hour shifts. Each shift consists of a minimum of nine advanced life support paramedics divided into the four Sandusky County EMS stations strategically housed throughout Sandusky County. Each paramedic is responsible for the clinical oversight of each individual emergency scene and provides advanced life support to patients requiring emergency service. All members of the department are State of Ohio certified paramedics. The goal of SCEMS is to provide quality emergency medical patient care. To achieve this goal, each station is positioned to provide emergency service within minutes of any call for service. SCEMS is an emergency only service and does not provide non-emergency or scheduled transports. SCEMS possesses special circumstance equipment including; a transport capable ATV, bariatric unit, and mass casualty/rehab trailer that can be requested to any of the neighboring counties or departments. SCEMS responds to approximately six thousand emergency calls per year and provides standby coverage for a variety of events and incidents. Sandusky County EMS works closely with the local medical community. Northwest Ohio EMS Consortium, our medical direction, is an involved physician group which develops progressive evidence based medical direction and guidelines. The Northwest Ohio EMS Consortium consists of multiple Emergency Room Physicians from Wood County Hospital, Fulton County Medical Center, Mercy Defiance Medical Center, Mercy St. Charles, and Mercy St. Vincent Medical Center. The Consortium challenges SCEMS to stay progressive in the advancements in the medical field. 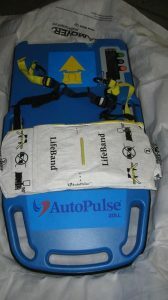 Currently SCEMS is equipped with Zoll X Series Monitors, Zoll Autopulse Mechanical CPR machines, EZ IO Drills, Stryker Power Cots with Power Load, HoverMat and Mega Mover bariatric devices, ability to transmit 12 lead EKG’s, Electronic Charting, and Transporting to over ten Regional Hospitals based on patient condition and preference. © Sandusky County EMS 2019. Allegiant theme by CPOThemes. Hosted at Fawcett Web Services.